UPDATED: Mon., May 28, 2018, 10:46 a.m. The Gonzaga baseball team is headed to Minneapolis. The Bulldogs (32-22), seeded third in the Minneapolis regional, will face No. 2-seed UCLA (36-19) in a first-round NCAA Tournament game on Friday at 11 a.m. Top-seeded Minnesota (41-13) meets Canisius (35-20) in the other game in Minneapolis. 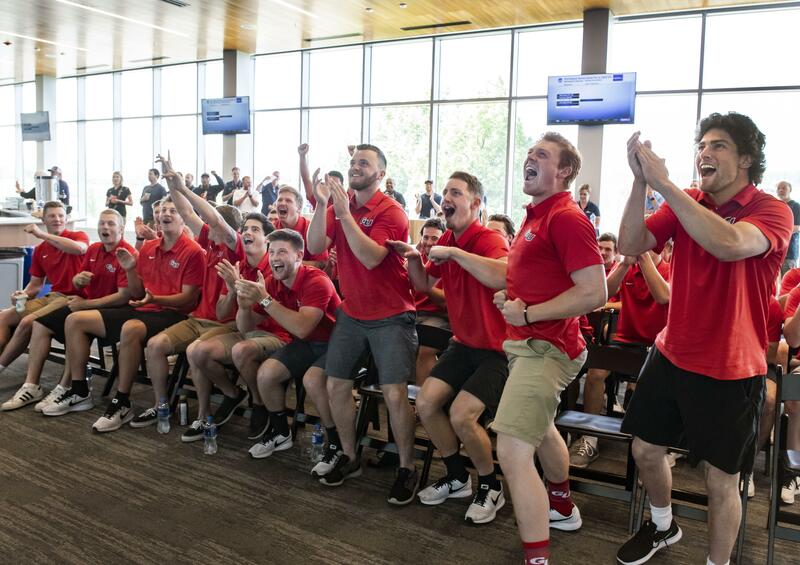 The team gathered Monday morning at GU’s Volkar Center and watched as the pairings were announced live on ESPNU. Defending national champion Florida is the No. 1 seed in the tournament, making the Gators the first program to be a top seed three times. Play begins Friday in 16 regionals. Winners advance to eight best-of-three super regionals. Those winners move on to the College World Series in Omaha. The NCAA seeded 16 teams for the first time. There had been eight seeds previously. Stanford is the No. 2 seed, followed by Oregon State, Mississippi, Arkansas, North Carolina, Florida State and Georgia. Seeds nine through 16 are Texas Tech, Clemson, Stetson, East Carolina, Texas, Minnesota, Coastal Carolina and North Carolina State. Florida State, at 41 appearances in a row, has the longest active streak of appearances. It’s the second NCAA Tournament appearance in three seasons for the Zags, following their at-large bid in 2016. It marks Gonzaga’s third tourney berth under coach Mark Machtolf and 10th overall. Gonzaga, winners of 12 of its past 15 games, earned the automatic NCAA bid after beating Pepperdine on Saturday in the championship game of the West Coast Conference baseball tournament on Saturday. It was Gonzaga’s third consecutive WCC Tournament appearance and first win in the conference tournament’s championship round. Published: May 28, 2018, 9:42 a.m. Updated: May 28, 2018, 10:46 a.m.